HoloLens is arguably Microsoft’s most exciting hardware endeavor in years – perhaps ever. 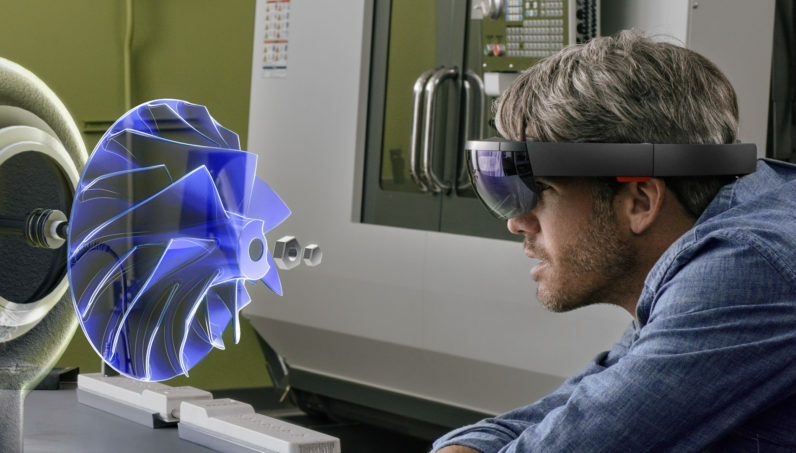 But as with all things virtual or augmented reality, text and images don’t do the full experience justice, so Microsoft is opening up a permanent space in New York City for developers to try out HoloLens in person. The experience is a follow up to an earlier roadshow across the country, and will be located in an extension to the company’s already-huge new flagship store (check out our tour and comparison with the Apple Store here). Here, developers will be able to try out a variety of experiences created under the universal Windows app platform (HoloLens apps are all basically modified Windows 10 apps). These are set up in different rooms designed to imitate a living space, workplace, or showfloor and include the awesome Project X-Ray game the company showed off at its October event, 3D modelling using HoloStudio, a holographic product reel and more. I was able to tour the space and it’s not hard to see why it would be an invaluable resource for developers until they can get their hands on hardware of their own next year. The demo space is intended to help developers appreciate HoloLens’ current capabilities in a very pragmatic sense. These experiences are about what developers can do right now, though of course, the hope is also inspire them to create others. On one hand, the exhibition helps you appreciate the awesomeness of mixed reality in a way you can’t grasp from videos and images; watching HoloLens do a 3D scan of your room as you move your head around is something straight out of a sci-fi movie. The various rooms imitate real life places where you might use the headset. On the other hand, it highlights the development hardware’s current shortcomings – most notably, a very narrow field-of-view. Given it’s unclear that will be much improved whenever the first retail versions arrive, at least developers can look for ways to work around the current limitations. It’s also interesting to note that as cool as HoloLens is, using it doesn’t feel nearly as jarring as a VR headset; you’re always reminded you’re in a real space, for better or for worse. In a ways that’s just typical Microsoft; the company cares just as much about HoloLens’ productivity potential as its entertainment value. If you’re a developer in the NY area and want to sign up to try it yourself, you can head on over to www.hololensevents.com to register for the demo sessions starting today. Microsoft hopes to soon expand to other areas. Waitlists for previous roadshow events has filled up quickly (like, in 90 minutes from availability), and we imagine the same will be the case in New York too.